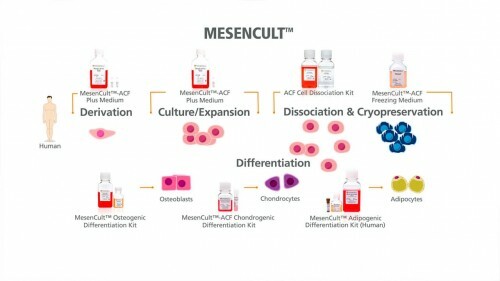 MesenCult™-ACF Freezing Medium is a defined, serum-free, and animal component-free medium for the cryopreservation of mesenchymal stem cells (MSCs). 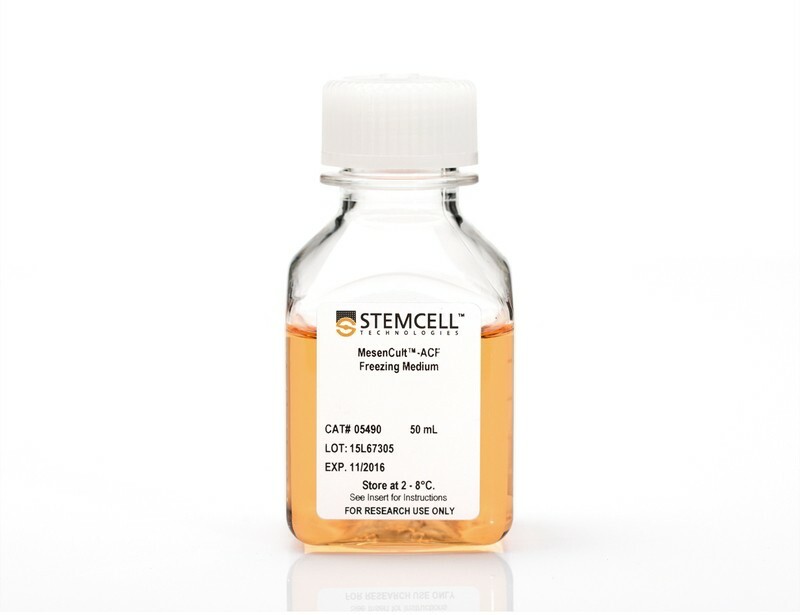 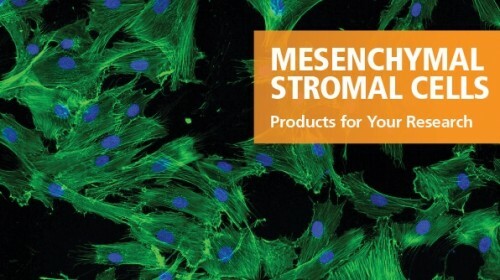 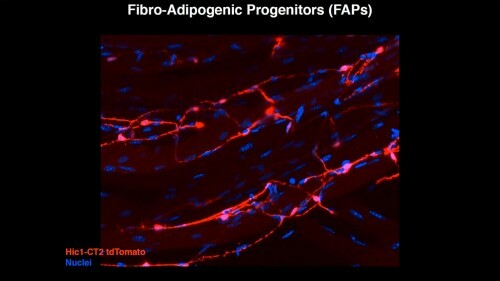 This complete and ready-to-use medium is recommended for human MSCs previously cultured in MesenCult™-ACF Plus Medium (Catalog #05445) or MesenCult™ Medium (MesenCult™ Proliferation Kit; Catalog #05411). 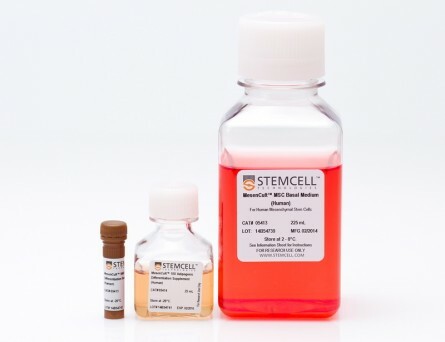 Frozen human MSCs should be stored at -135°C (liquid nitrogen) or colder. 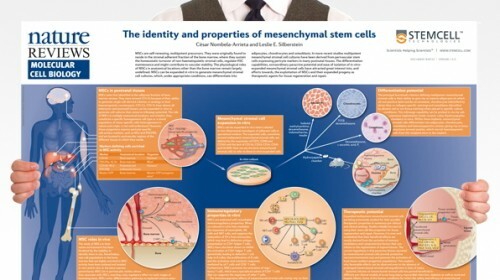 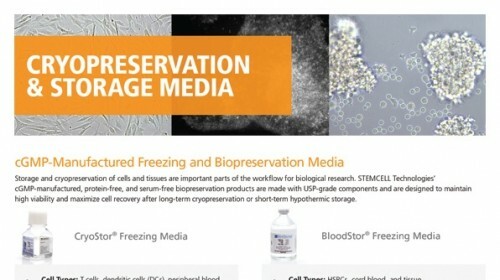 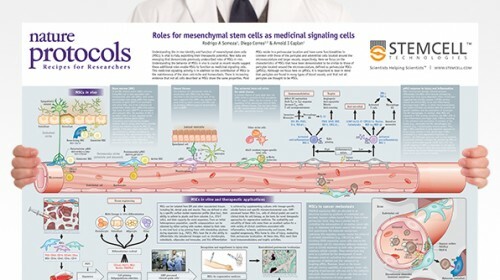 The Secret In Vivo Life of "Mesenchymal Stem Cells"
Human MSCs previously cultured in animal component-free medium and cryopreserved in MesenCult™-ACF Freezing Medium show reproducibly high recovery of viable cells after thawing. 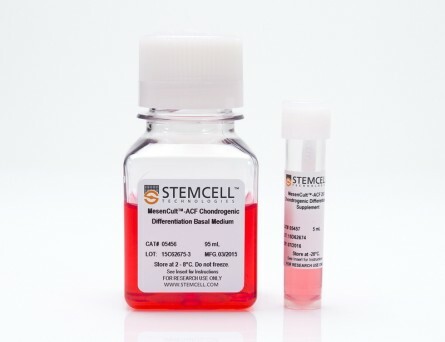 Recovery is higher than observed with a competitor ACF freezing medium (n = 6 independent experiments, P = 0.0035). 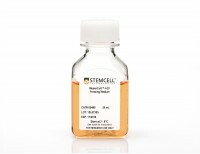 Viable cell recovery is defined as the percentage of input cells that are recovered and maintain post-thaw viability. 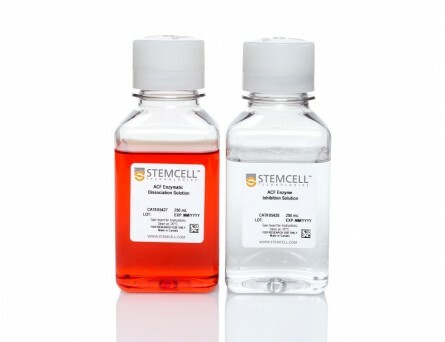 Human MSCs cryopreserved with MesenCult™-ACF Freezing Medium (A, 3 days after thawing) maintain multi-lineage differentiation potential, as demonstrated by differentiation to the adipogenic (B, Oil Red O staining) and osteogenic (C, Alizarin Red staining) lineages.